Because the first five years of our children’s lives have a strong impact on their growing minds, it is essential to pick high quality content for them and it is recommended to avoid screen time until after two years of age. Some resources for good programming include: PBSkids.org and Commonsensemedia.org. In general, it is great to choose programs that have a narrative arc and that engage the viewer by asking them for their participation. Talk with your child about the game or program that he/she is using rather than not following up with them. Ask your child what they thought about the game/program and how it made them feel. Help your child bring the content into the real world in order to help them to make sense of what they are viewing. Once again, help your child make a connection between media content and real-life. If a program portrays someone kicking a ball, play with a ball with your child in tandem with the program. If the program involves dancing, get up and dance with your child while viewing the show. Make the passive learning of the screen active! The American Academy of Pediatrics recommends that screen time be introduced only after the age of two. For children over age two it is recommended that children watch one to two hours of TV per day. Although offering screen time to our kids may allow us to have some much needed time to work while our kids are occupied, it is essential to remember that learning is best through educational, interactive, auditory, visual and sensory experience which media does not provide in combination. When the show is over, turn the TV off! Don’t let the screen time linger on. It is also recommended to not have TV shows playing throughout the house during playtime or to have the TV on in an effort to lull your child to bed. Screen time has the opposite effect and should be discontinued at least an hour before bedtime. 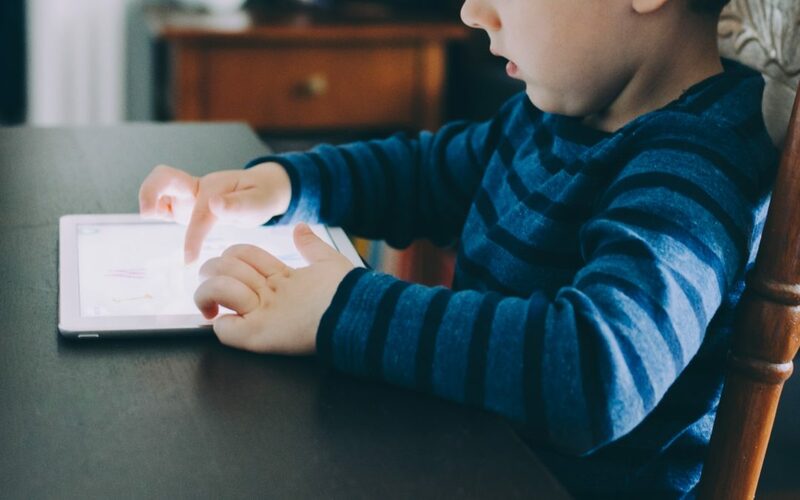 As we as a culture become increasingly dependent upon screens, it is important to teach our children the value of entertainment and interactive experience that lies right in front of them at their fingertips, using their own creativity.